Boots is committed to protecting your privacy. We will always keep your personal information safe and will never sell it to third parties. We’ll be clear and open with you about why we collect your personal information and how we use it. Where you have choices, we’ll explain them to you and respect your wishes. We use the personal information you provide to set up your Boots Jobs account to notify you of suitable vacancies if you have asked us to do so, and process any applications you make. If you apply for a job at Boots UK we may use your information to carry out checks with external sources such as the DBS (Disclosure and Barring Service) and fraud prevention agencies to verify your identity and assess your suitability for certain roles (e.g. Pharmacist, PDC Drivers and Dispensers). 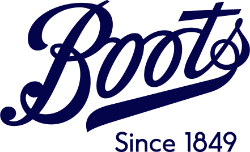 For applications for a job at Boots Ireland we will use the National Vetting Bureau to verify your identity and assess your suitability for certain roles (e.g. Pharmacist). If you apply for a job with Boots, some of the information we ask you to provide may be sensitive in nature, such as information about your health. We will only ask for sensitive information where we have a specific need for it and we will always tell you why we need it. We will not use your data in any other way or share it with unauthorised third parties. If your application is unsuccessful we will retain your information collected during the application process for 12 months, including interview notes and assessment results. If your application is unsuccessful you will also be unable to apply for jobs via your Boots Jobs account for 12months. We use profiling as part of our recruitment process. This helps us provide a fair and consistent recruitment process. You can find information about why we use profiling, including the logic involved, the mathematic and statistical procedures we use below. Once you’ve completed any necessary assessments we always use human intervention to ensure the right decisions are made about the next steps in your recruitment journey. We will keep your personal information such as your online assessment results for a limited time after the account is closed to enable us to fulfil our legal and regulatory obligations, carry out internal validation and process any queries. If your Boots Jobs account is inactive for 12 months we will close it. These Cookies are essential so that you can move around the site and log in to your account. These Cookies allow our website to remember choices you have made, such as your user name and help us provide you with a better, more personal experience. They also help us show you job adverts for roles that you might like to apply for. Some parts of our site need Cookies in order to function correctly. By default, Cookies should be enabled on your computer or device, and although you can ‘disable’ them in your browser this will affect your experience of the website and you may experience technical issues with some of the site’s features. Some assessments that candidates will take mean that their data will be passed to our assessment providers. We pseudonymised data were we can, but where this isn’t possible we limit the information that we share to only that the minimum that is required. 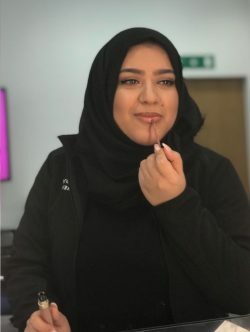 At Boots UK & ROI we use profiling in the recruitment process for some roles, particularly when we receive a high volume of applications, as we feel it’s the fairest and most consistent way to determine your suitability to join us. It also helps you to find out as quickly as possible if your application is being considered further. Some of our online assessments ask how you respond to challenges you are most likely to face in the role. Some also ask about your personality preferences in a work place setting. These scenarios and questions have been selected because they link to the behaviours and personality traits shown to be most effective for the role. If you respond in similar way to high performing Colleagues, it is likely that you too will be a great fit for the role. Candidate information (such as eligibility to work in the UK/ROI, availability to work the required hours etc.) along with a minimum overall role match score on your assessment profile, will determine whether your application is progressed. Of those who are progressed, candidates who most closely match the requirements for the role are prioritised for the next stage. We have experienced members of staff on hand throughout our recruitment process to perform checks to ensure all candidates are going through the same fair recruitment process, from reviewing role match scores, reviewing responses to questions, and during the interview process. A Hiring Manager will ultimately make a selection decision, based on your performance during a face-to-face assessment.